your Redeemer is the Holy One of Israel. (Is 41:12-14 Amp). When walking in obedience to our Lord, we needn’t live and walk in fear at all. Often in scripture, the Lord told His people not to fear. Paul in his second letter to Timothy, reminds us of this matter. He clearly states, we are not to fear, when walking in God’s Love. John also reminds us, God’s Perfect love; casts away fear! Fear is always bringing torment, whereas God’s Perfect Love surpasses all our understanding. The Lord often reminds us not to be fearful. Many of the heroes and heroines of faith, had to face fear, as their enemy. Fear; has always being in opposition toward our Faith. Faith is the substance of things hoped for, the evidence of things not seen, whereas fear is brought about through much anxiety and anxious forebodings. 14 For all who are allowing themselves to be led by the Spirit of God are sons of God. 15 For you have not received a spirit of slavery leading again to fear [of God’s judgment], but you have received the Spirit of adoption as sons [the Spirit producing sonship] by which we [joyfully] cry, “Abba! Father!” 16 The Spirit Himself testifies and confirms together with our spirit [assuring us] that we [believers] are children of God. (Rom 8:14-16 Amp). 17 In this [union and fellowship with Him], love is completed and perfected with us, so that we may have confidence in the day of judgment [with assurance and boldness to face Him]; because as He is, so are we in this world. 18 There is no fear in love [dread does not exist]. But perfect (complete, full-grown) love drives out fear, because fear involves [the expectation of divine] punishment, so the one who is afraid [of God’s judgment] is not perfected in love [has not grown into a sufficient understanding of God’s love]. 19 We love, because He first loved us. (1 Jn 4:17-19 Amp). 6 Wherefore I put thee in remembrance that thou stir up the gift of God, which is in thee by the putting on of my hands. 7 For God hath not given us the spirit of fear; but of power, and of love, and of a sound mind. 8 Be not thou therefore ashamed of the testimony of our Lord, nor of me his prisoner: but be thou partaker of the afflictions of the gospel according to the power of God; (2 Tim 1:6-8 AKJV). God’s Great Love for us; (ie we whom had been and are sinners) delivers us from the fear, the hand of the enemy. His (God’s) Love towards us overcomes the enemy. His Great Love surpasses our understanding. Our Faith in Christ Jesus which working through Grace, Love, Mercy delivers us. He sets us free, from fear; delivering us from our enemy. The enemy always sows fear, questioning God’s Goodness. Always lying about the Truth. He has always been a liar right, since the beginning of time. Satan our enemy, is also called the dragon, the deceiver the serpent of ancient time, even tried deceiving a third of God’s Heavenly Creation; the angels. Michael fought him and overcame. ’tis written there had been war in heaven, satan was kicked out, misleading a third of the angels. But satan is a very harsh master that we serve. He is the very embodiment of anything, which is anti God. He is the evil landowner, to whom our forbears gave the lease of the earth. Whatever he does, leads to destruction. He is also the author of fear. He is unloving, and hates all things which are Good and of God. He is bent on the destruction of the human race. Creation mourns under satan’s rule. He hates all Godliness. 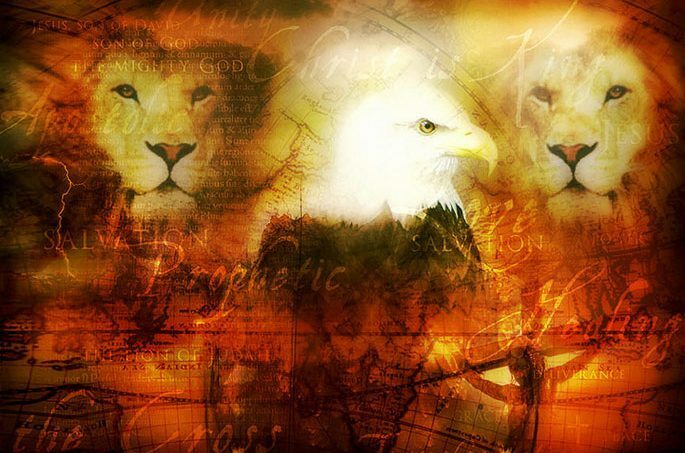 We who know whom our God is, shall also become bold as a Lion. We are overcoming the enemy, through the Blood of the Lamb & the Word of our Testimony. The Lord’s Love for us through Christ Jesus, enables us to walk, live in overcoming victory. Daniel referred to us , as the people who know their God, whom shall do great exploits. Christ says, “the same things which He has done; we’re able to do also.” Yet only through Christ, Who is our Righteousness; are we able to overcome, and do these greater things. The Lord through His death and resurrection, His dying on the cross, makes a way for us to have a reason to live. God through His Great Love, for mankind; made a way of deliverance. ’twas His Love for the sinner, which led Christ Jesus, to go to the cross. His dying in our place, restores our relationship with our Creator. Though we fall short due to our sin, Christ made a way. Where fear rules and reigns in our life, because of original sin, Christ enables us to overcome. We are more than conquerors through Christ Jesus; Who strengthens us. As believers we have many battles. The trials of the righteous are many, yet the Lord helps us through them all. Our Lord never said it would be smooth sailing, when we accept, follow, and serve Him. In fact He forewarned us, about the cost, the price which we need to pay. This is not necessarily financial costs. It is rather that not everybody shall accept nor heed us. Yet our life, our walk in Christ, may convict the sinner of their sin and God’s Righteousness which is manifested in our lives. Through Christ Jesus are we made righteous. He is our Righteousness! Where the law of sin and death lead us to walk in fear, the Law of Life in Christ Jesus, set us free for us to walk in Our Lord overcame the enemy. He also causes us to triumph! The battle is the Lord’s, He also gives us the victory. Yet this we need to receive, take hold of that which God out of His Love has done for us! Through our Faith in the Precious Name of Jesus Christ, we receive Life & our Victory! Faith is the substance of things hoped for; the evidence of things not seen. For without faith it is impossible to please God! Faith calls those things which be not as tho’ they were. Through Faith, we know the world’s ages are and were framed through God’s Word! Through Faith we come to God and call upon His Name. 19 For the Son of God, Jesus Christ, who was preached among you by us, by me, Silvanus, and Timothy, was not “Yes” and “No,” but has proved to be “Yes” in Him [true and faithful, the divine “Yes” affirming God’s promises]. 20 For as many as are the promises of God, in Christ they are [all answered] “Yes.” So through Him we say our “Amen” to the glory of God. 21 Now it is God who establishes and confirms us [in joint fellowship] with you in Christ, and who has anointed us [empowering us with the gifts of the Spirit]; (2Cor 1:19-21 Amp). Here we see God’s promise for the present day believers, as also that which the Lord, promised Joshua. Remember when Moses passed on, the Lord appeared to Joshua, anointing him to lead Israel into their promised land. Joshua had being reminded, by the Lord, that He shall be with him, even as He had being with Moses. The Lord had prepared Joshua long ago, to take charge over Israel, in Moses’ stead. He tells Joshua not to fear, for as He was with Moses so shall He be with Joshua. He’s reminded e’en as our Lord reminds us, not to fear. 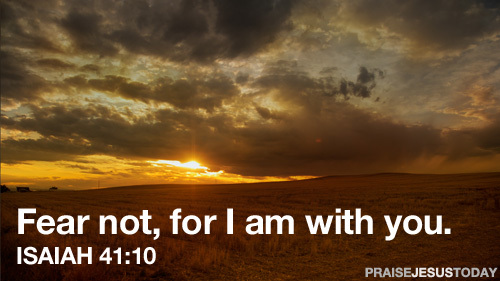 He tells us He shall always be with us, He shall not forsake us. He dearly Loves us. This is why He came to this world, to die on the cross, in our place. He also faced fear yet He conquered both death and the grave. He overcome fear. Fear has to bow before Christ. Fear is a Name. Christ overcame the enemy on the cross, defeating him openly. Our Lord overcame the enemy. He also causes us to triumph! The battle is the Lord’s, He also gives us the victory. Yet this we need to receive, take hold of that which Christ out of His Love has done for us, by and through our Faith in the Precious Name of Jesus Christ. Faith is the substance of things hoped for; the evidence of things not seen. We needn’t live in fear, for our Lord; delivered us from fear’s torment. God’s perfect Love delivers us from fear. His Great Love Love nailed Christ Jesus to the cross, in our place. Hell is not meant for the sinner, rather for the devil and the fallen angels, with him. In fact Christ Jesus descended to hell, taken captivity captive; overcoming our enemy. Jesus took the keys of death from the devil, hades, hell and the grave. He offered His most Holy, Precious Blood, on the heavenly altar. He paid the highest price ever for the salvation of mankind. The Lord gives us freedom of choice, although, He sets before us Death or Life; Blessing and Cursing. He encourages us therefore, to choose Life. Christ gives us Life, and Life more abundantly.